PJ Motsiff is the founder and owner of the Adirondack Lynx Female Soccer Academy and the Adirondack FC Player Development Program. PJ recently resigned from public education after teaching for 14 years at the elementary level because as he says…a labor of love had become his full-time passion, having been a high school coach for 7 years and a college coach for 11 years (SUNY Cortland, College of Saint Rose, Skidmore). PJ currently holds his national coaching license through the National Coaches Association of America, and has helped hundreds of players transition from the youth level to the college ranks. He has coached International Olympians and World Cup players, as well as college All- Americans and U.S. youth national team players. Through soccer, he has been able to do extensive travel that has allowed him to connect with colleagues at all levels. 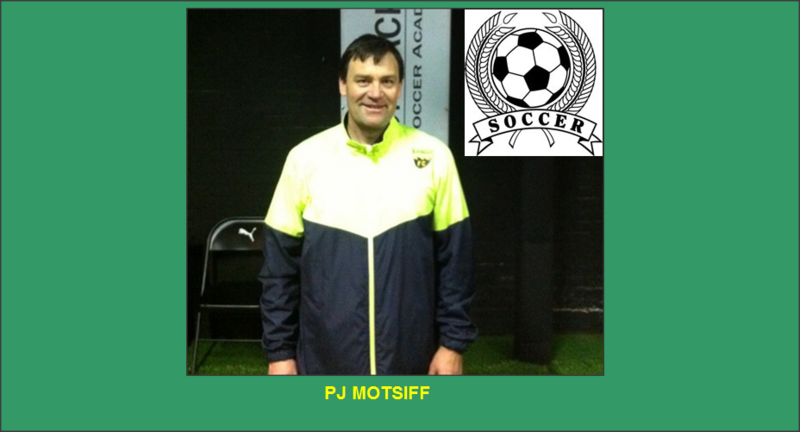 Coach Motsiff’s philosophy is built on the premise that through extensive ball work, hard work and diligent practice, players can improve. “To be a great player, you must understand all facets of how the ball works, and be able to make all of the players around you look good,” stated PJ. PJ currently lives in Glens Falls NY with his wife Kate and their three children, Caroline (14), Jack (10), and Tim (8). This will be my first year at Camp Echo Lake. Through being the summer camp director at other local residential camps, I was well aware of the quality programming that takes place at Camp Echo Lake each summer. After a tour of the facility this past summer, I knew this was a place that I could fall in love with. What do you do during the rest of the year? I am self-employed and run my soccer academies full-time. I also am involved with Kick-It 3v3. This is the largest and oldest 3v3 tour in the United States. The Kick-It tournaments are in over 60 cities each summer. I am helping grow them in the Northeast. What is your experience/background with the activity that you oversee? I have been involved with soccer for almost 40 years. I have been a player, coach, referee and am now a parent. I have trained players as young as 2 years old, all the way up to Olympians and World Cup Players. How do you tailor your lessons to develop campers with varying skill levels? Soccer is a team sport; therefore we do quite a bit of team building and communication skills prior to touching a ball. Once we do get on a ball, I have what is called the “1,000-touch rule.” The goal is to get over 1,000 touches at every training session. With this in mind, every camper will start each session with a ball doing individual skill work. We then progress into age and skill level appropriate drills. If need be, we break off into groups of similar abilities and do the same drill. Soccer is all about time and space. Therefore, experienced players will be doing drills with less time and space, and beginning players will do just the opposite. What are your goals for the campers for the summer of 2015? This summer, I hope to bring a professional feel to the soccer program at Camp Echo Lake. Although our focus will always be on fun, it is important to always try our best to get outside our respective comfort zones. I hope to instill a passion for the world’s most beautiful game, and have campers returning to their rec, high school or travel teams at an increased level. We will be continue to spotlight more of the Camp Echo Lake Head Specialists from now until camp begins (only 86 more days!). Please make sure that you subscribe to The Trail so that don’t miss any of the articles that are shared on a regular basis.